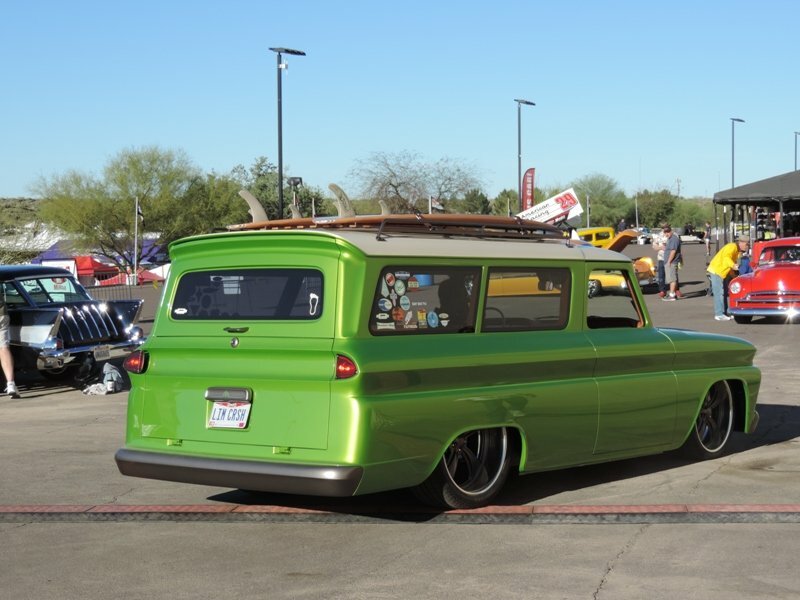 Lime Crush, a custom 66 Chevrolet Suburban, we first saw at its debut at the SEMA Show in 2013, came out of the winter blues for a sunny weekend at Goodguy’s Rod and Custom’s Fifth Annual Spring Nationals in Scottsdale. 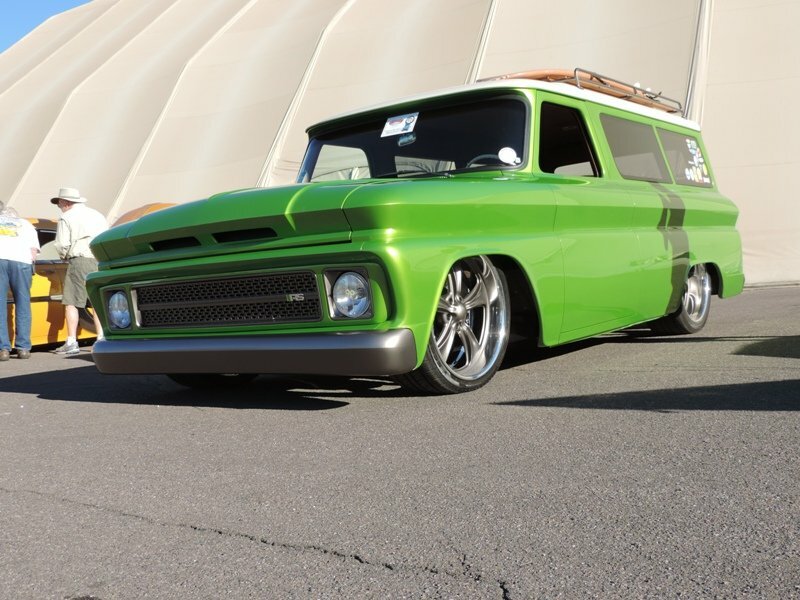 At the 2013 SEMA Show, ACCEL revealed this awesome custom Suburban, named the Lime Crush. 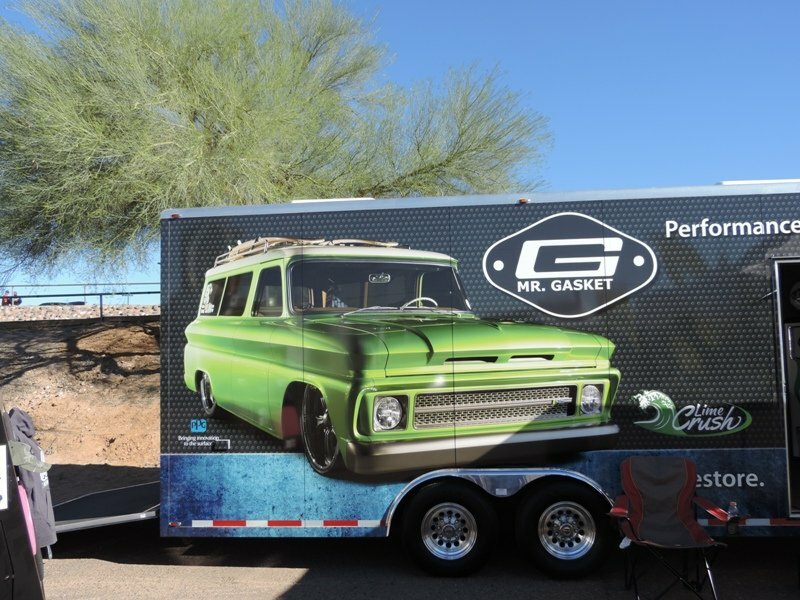 ACCEL Performance Group is a mixture of speed parts including Mr. Gasket. 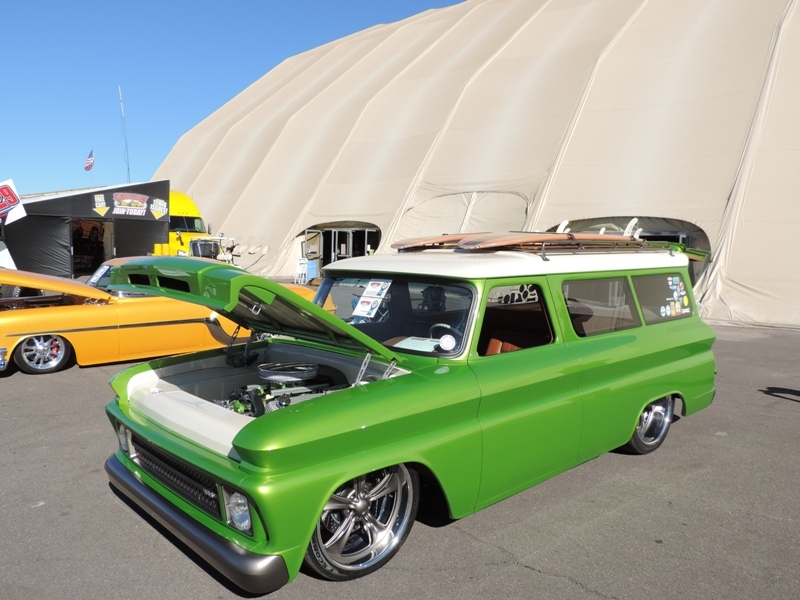 The Suburban is an eye catcher with the custom paint -Mr. Gasket Green- sprayed on by Charlie Hutton. 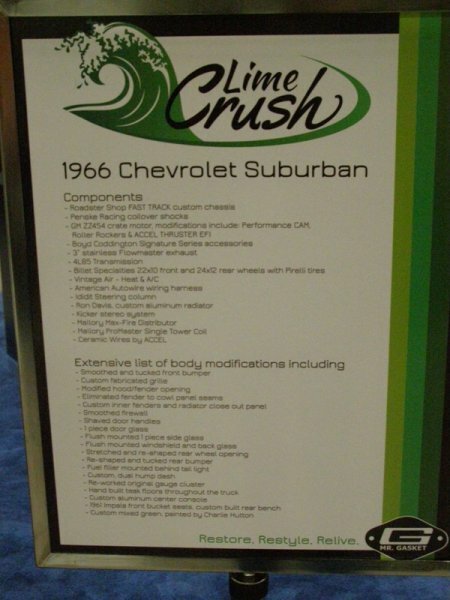 The truck was done by the Roadster Shop which is based in Illinois. 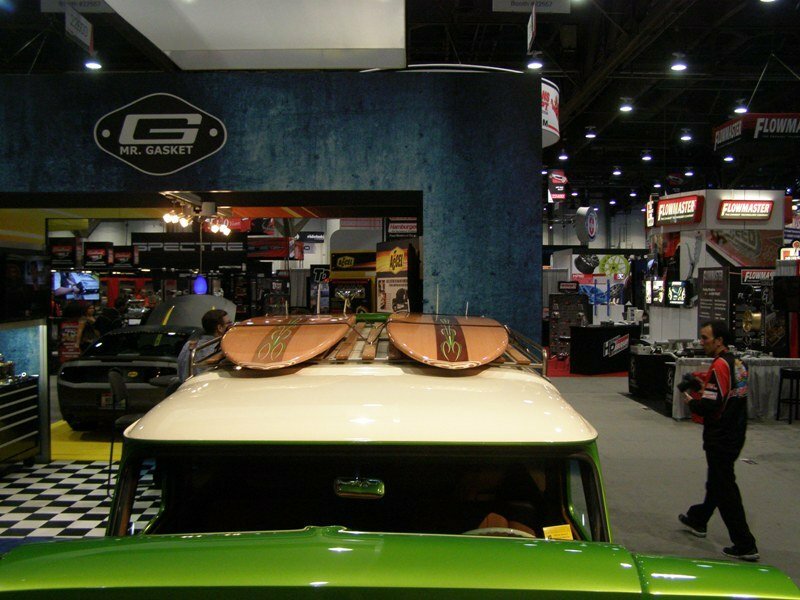 The amount of body modifications and custom pieces was just impressive. 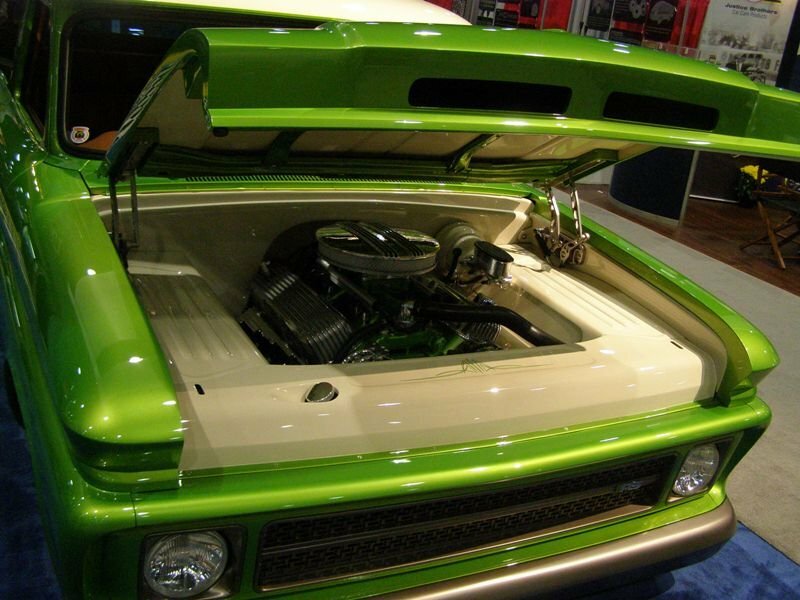 Looking at where it started from, makes the folks at the Roadster Shop even more impressive. It was quite a build! 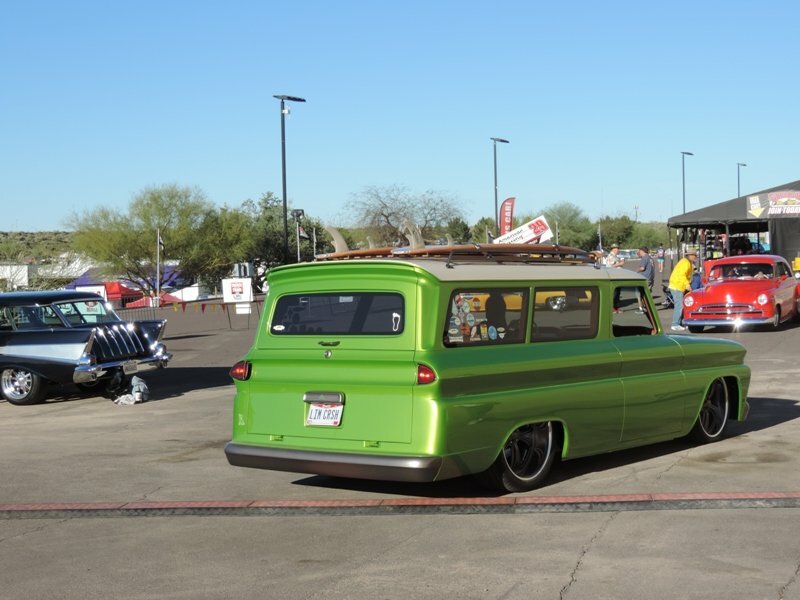 Here was Hot Rod Magazine’s take on the debut. 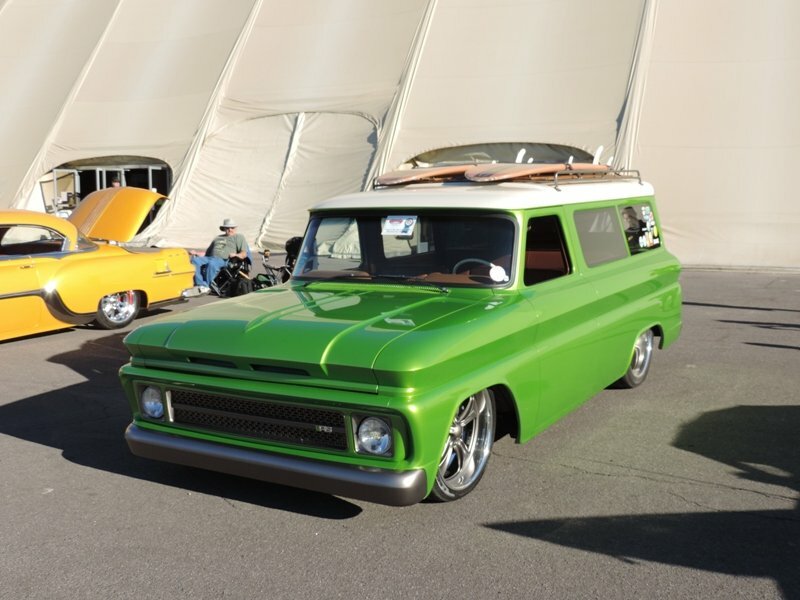 At the Goodguy’s Fifth Annual Spring Nationals, the truck came out again. 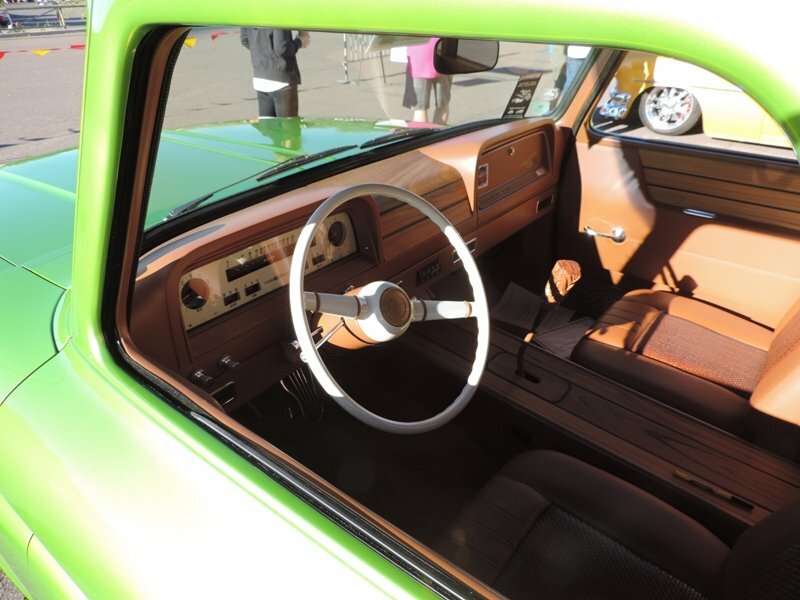 It looks even better in the daylight where the lime green paint can truly sparkle! 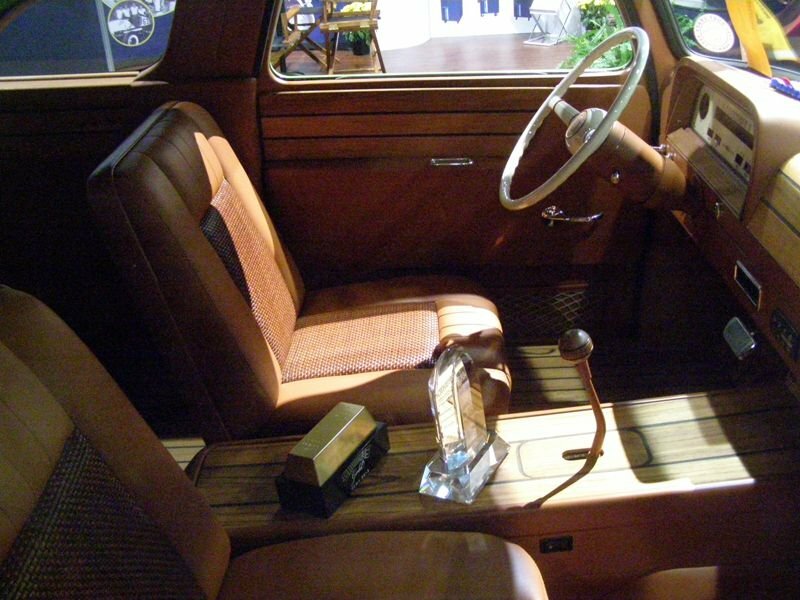 Of course the truck drew lots of admiring glances and the detailer spent his whole time keeping the dust down. 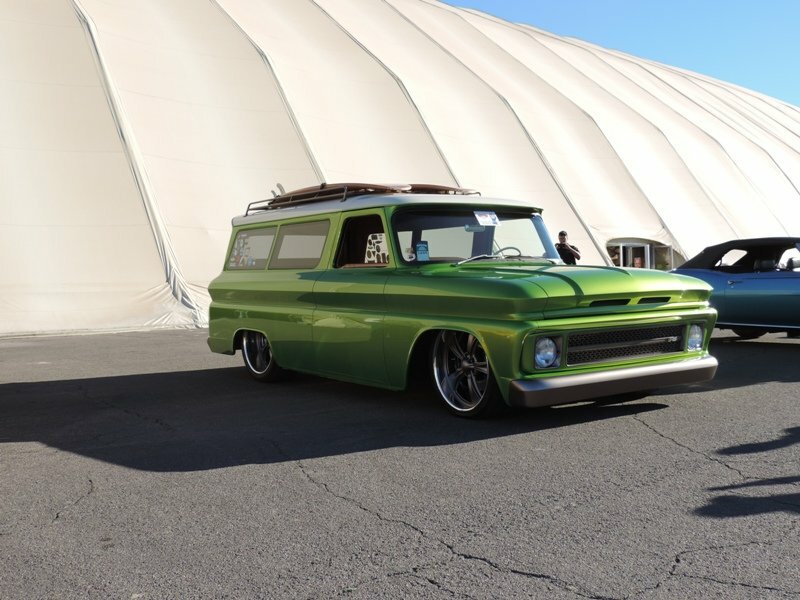 It is always nice to see vehicles that pop up at the SEMA Show also make it out across the country for others to see in person. 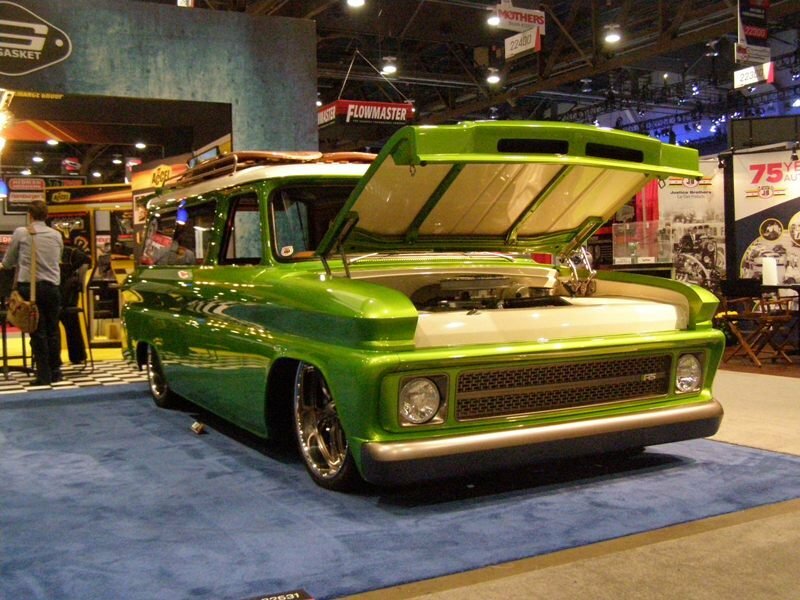 The judges at Goodguys know quality and picked Lime Crush as a finalist for their Truck of the Year Title. If this is their first pick, it sure raises the bar for everybody else! It’s said that the attention to the little things is what counts. It also helps if they have a sense of humor. All the deals on the truck, including those on the window were hand made. 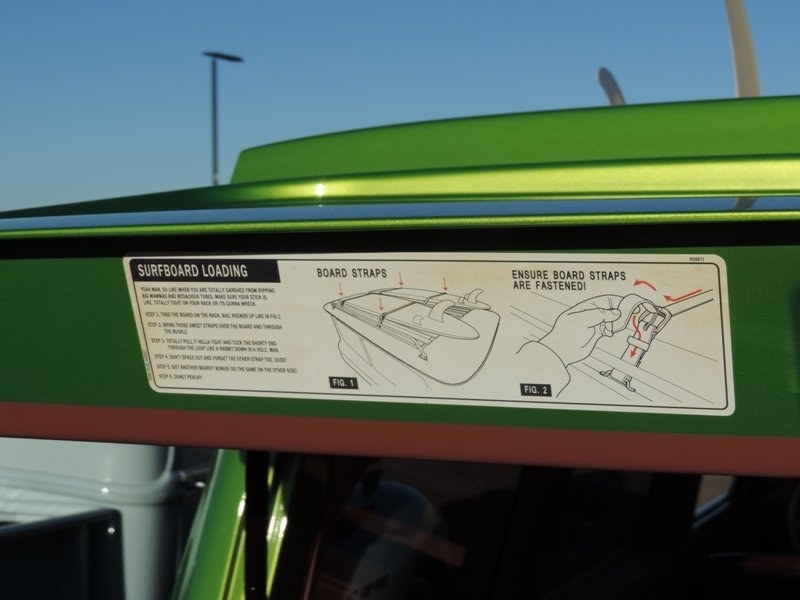 On the tailgate of the Suburban is this warning decal for the roof rack, for h the obligatory surfboards. 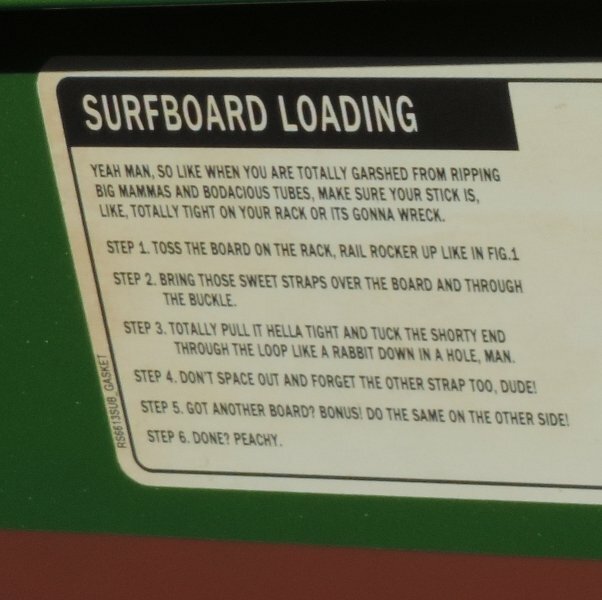 Someone has a gnarly sense of humor. 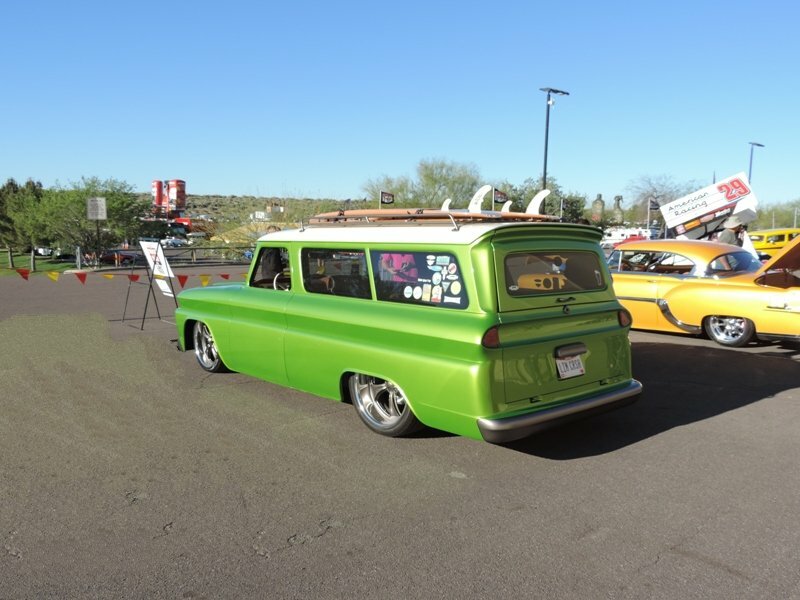 What better vehicle to highlight for St Patrick’s Day?